PULSONIC offers a complete solution for National Meteorological Agencies that follows WMO and ICAO standards. The gathered climate information can be integrated into the existing meteorological system and is compatible with most of the Climate Data Management System (CDMS). PULSONIC can provide commissioning, training or maintenance anywhere over the world. Pulsia Synop is designed to be installed in harsh operating environment. The protection and the materials used such as cast aluminum, stainless steel allow the system to have a life expectancy of 15 to 20 years even in tropical climate. All cables are protected into the structure to avoid deterioration from animals, UV or vandalisms. PULSIA SYNOP can be equipped with GSM/GPRS or Wi-Fi modem. The PULSIA's datalogger can also be equipped with an external memory card reader to extend its backup. The data-logger has an internal non-volatile memory to store meteorological data and maintenance data. The internal memory is able to store meteorological data for more than 60 days without loss of data in case of GSM/GPRS link failure. The sensors are connected to the AWS by analog and digital inputs to ensure the precision throughout the acquisition chain. Maintenance operations are facilitated thank to the "Plug and Play" sensors. Its solar panel combined with its battery ensures the station the energy supply needed all year long. The solar panel is small and integrated to the enclosure to minimize the risk of theft. The automatic weather stations are designed to avoid any civil engineer work to ease the installation. 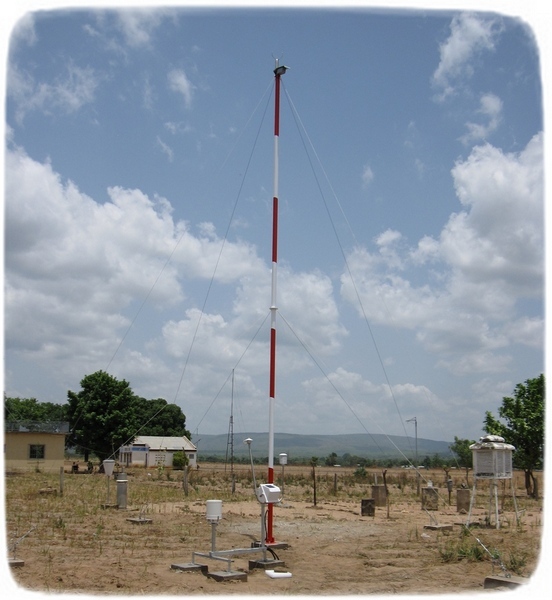 The conception of the Pulsia Synop is done to protect the weather station against lightning. 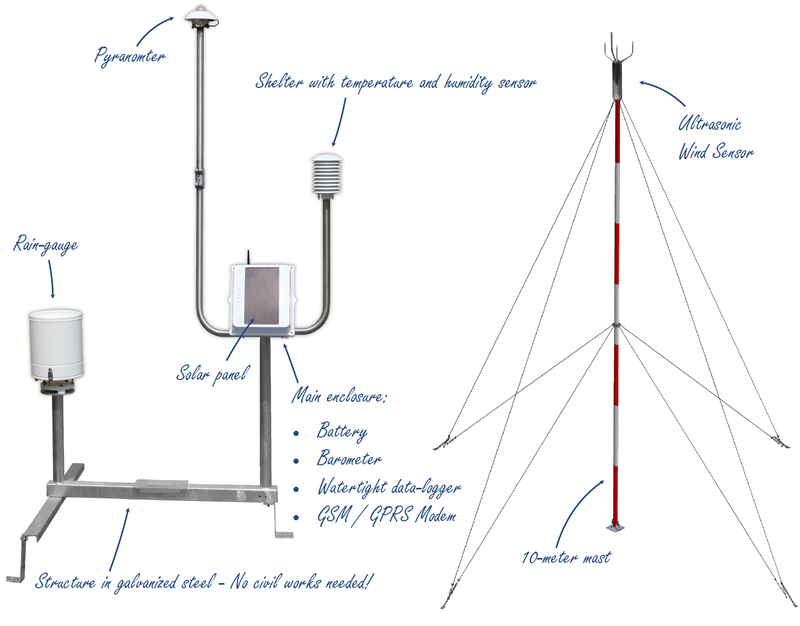 PULSONIC 10-meter mast is tillable to ease the installation and the maintenance. The mast support very difficult wind condition. 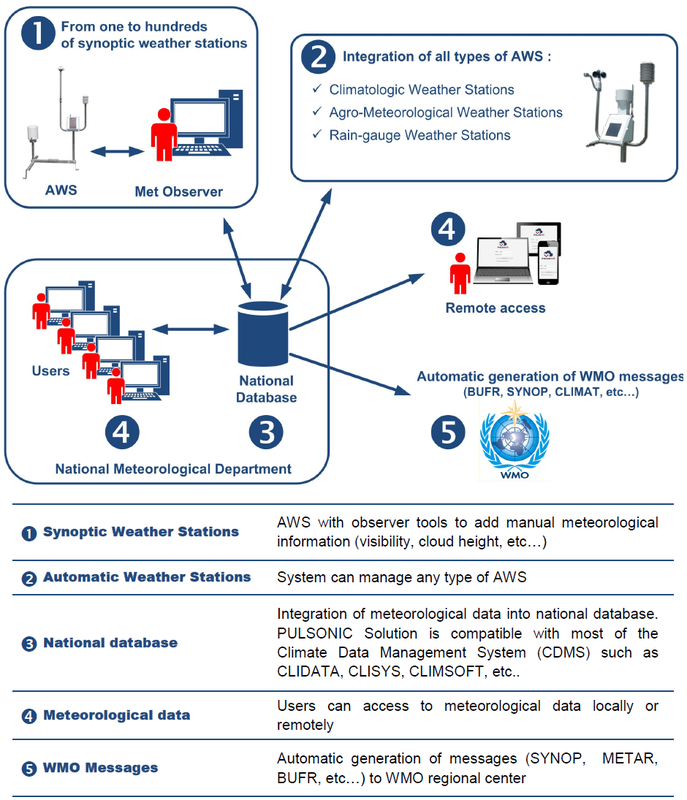 PULSONIC manufacture Synoptic Automatic Weather Station for several National Meteorological Service in the world to provide near real-time meteorological observation 24/24 hour. Intermediate synoptic hours : 03h00, 09h00, 15h00, 21h00 (UTC). This timing is respected by each WMO member in the world and it provides an image of meteorological condition everywhere in the world. Indeed, the observation should be made at the exact time (00) and is disseminated into the WMO network in less than 15 minutes.